Piranha Plant starts bringing in the greens. Super Smash Bros Ultimate’s first downloadable fighter has now become paid-for DLC. Initially offered to early adopters free of charge, Piranha Plant will now only be available to purchase as a stand-alone character. 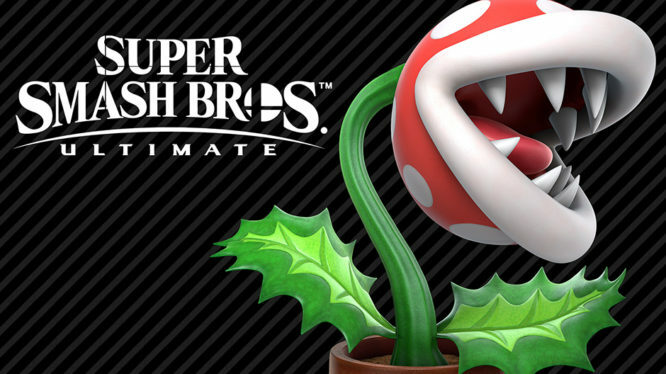 Players who missed the free Piranha Plant promotional period will now need to fork over £4.49 / €4,99 / $4.99 to add this potted fighter to their roster. Unlike other upcoming DLC characters, Piranha Plant is not included in the Smash Bros Ultimate Fighter Pass and can now only be purchased as individual DLC. While this may be disappointing news to some, players who purchased the game after January 31st 2019 will (for a small fee) at least be able to complete the Smash Bros Ultimate roster. If you missed the free promotional period and would like to purchase the Piranha Plant DLC then instructions on how to do so are provided below. Open the Super Smash Bros Ultimate game on your Switch. In the main menu select the eShop icon in the lower right. Press A on the small checkbox besides the Piranha Plant DLC. Highlight “Proceed to Purchase” and press the A button again. Review your purchase and tick the “Agree” checkbox if happy. Highlight the “Purchase” button and press A to confirm. Super Smash Bros. Ultimate – Piranha Plant Pipes Up!